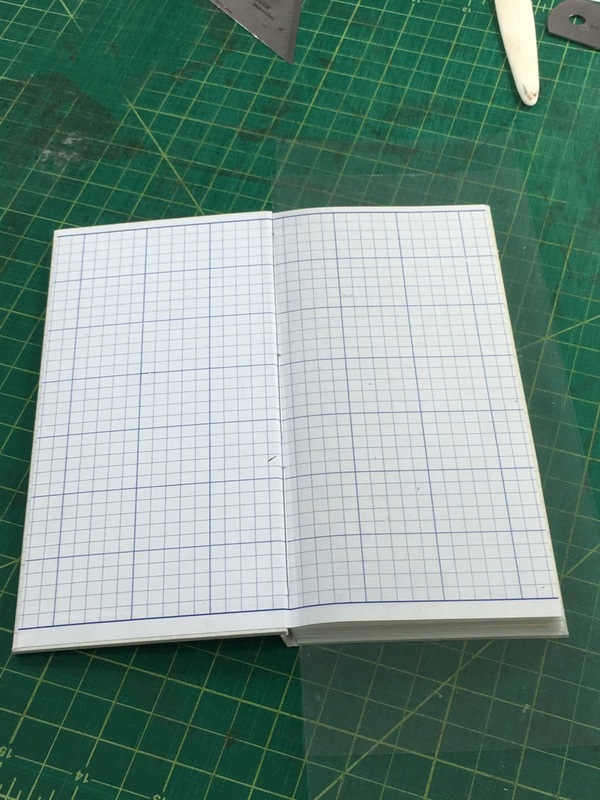 In 2015, a road trip resulted in an artist's book ... and a relocation across the country. 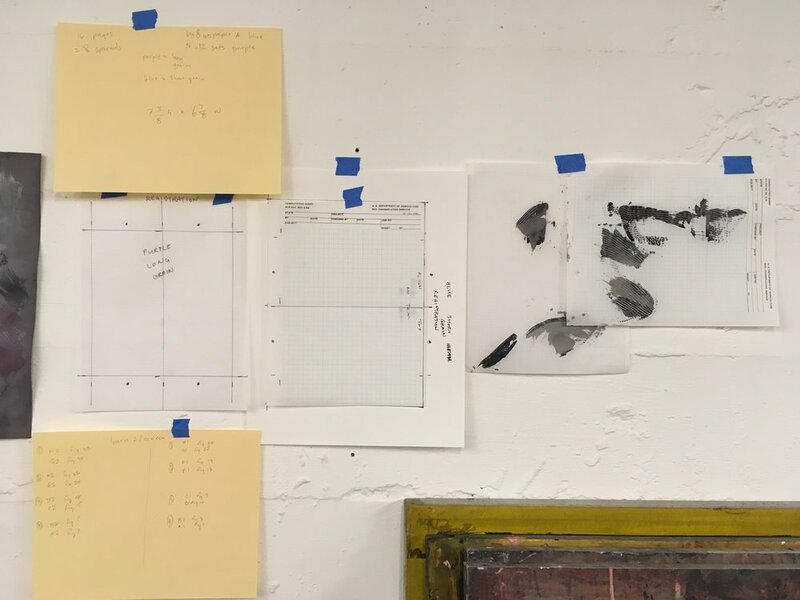 The artist's book, The Meter Was Out Of Order, formed the structural underpinning for a 2019 artist's book, Enumerations. Edition size, 16, of which 8 are deluxe copies. I have an established interest in creating standard book structures out of nonstandard pages, and I'm fascinated with different language systems and different number systems. As an undergraduate student, given the opportunity to choose between math and computer science coursework, I chose computer science -- after all, programming is just another language, and syntax and vocabulary are skills that I, as an English major, understood quite well. Over the past few years, the history of women in computer science and mathematics has been explored across a range of resources in popular culture, from the "computers" in "Hidden Figures" to the explorations of Ada Lovelace and Charles Babbage in a graphic novel by Sydney Padua, to the inventions of Hedy Lamarr, an actress who decamped to technology. One of my favorite podcasts is "In Our Time," a BBC program wherein academics discuss the history of ideas. Their math presentations are particularly engaging, and, when this project was germinating, three programs in particular were of special interest: Maths in the Early Islamic World | Pauli's Exclusion Principle | Carl Friedrich Gauss . What we have from all of the above is a fascination with math, language, and numbers, as developed through history and explored in the fields of philosophy and culture. This project developed over the course of a year, as I examined different aspects of combining ideas of memory, craft, and technology into one book project. 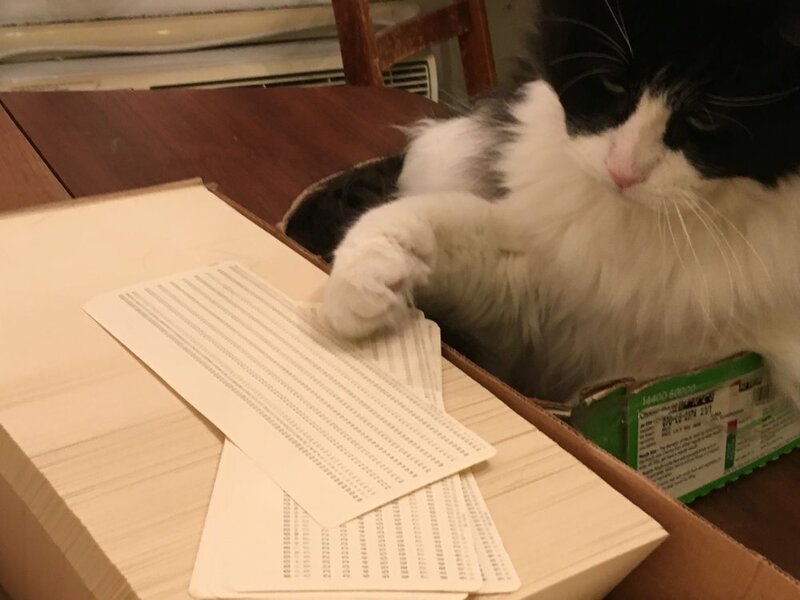 I knew that I wanted to print the book on computer punch cards; my father found a batch of unpunched cards from Los Alamos via ebay, and then I purchased an additional batch of punched cards from a programmer's personal archive via Craigslist -- he had punched all the cards for graduate school projects, and held onto them for all these years. For the text, the obvious choice was the writings of Ada Lovelace. Anyone who is taught mathematics as a child in order to prevent the dangers of becoming a poet is someone worth paying attention to; that her poetic lineage was the very well-known Lord Byron was especially fun. Originally, I wanted to print all of her equations -- she is credited with writing the first computer algorithm -- but then ran against a basic problem: my own math skills, and my own programming skills, couldn't follow her writings. So I focused on what I could understand, the Note that was specifically about the functioning of the Analytical Engine being based on Jacquard looms. In this note she specifically references a contemporary article about how Jacquard looms operate, and I was able to locate the text of this article, which had phenomenal drawn images illustrating the parts of the loom. The text of the book was coming together: the interwoven story of the loom and the computer. 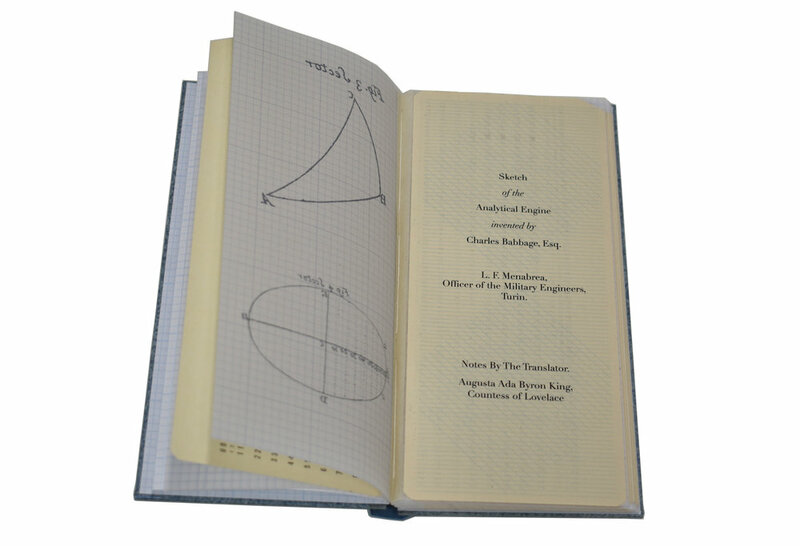 From my reading about math history, I knew that the use of the slide rule was a means of making trigonometry tables portable during any calculation, rather than having to reference printed guides; and that the early computers were designed to calculate trigonometry in order to successfully land the Apollo space craft on the moon. 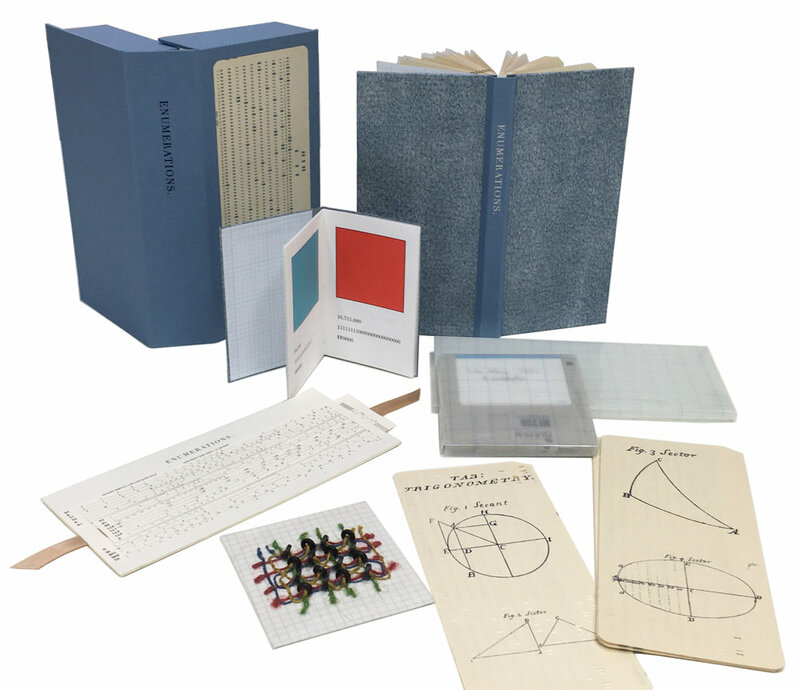 Therefore, additional components of Enumerations: the trigonometry drawings, the slide rule, and the cope rope memory, were also included as ways of providing mathematical memory and making it accessible. 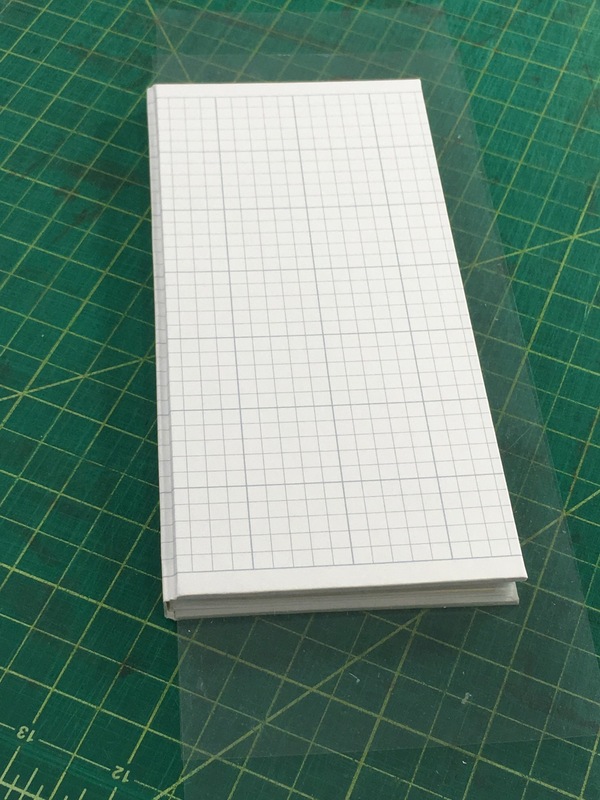 Early on, I knew that I wanted a slide rule to be a component of the book project; and it was at a dinner party where framed card slide rules were displayed on a wall that I realized this format existed. The hostess very kindly gave me an extra card from her collection, which formed the pattern for this project. The online resources at the Oughtred Society were also invaluable, as was the collection at the Smithsonian Institution. Conversations with my clients (who often collect scientific and mathematical paraphernalia) were also incredibly helpful. 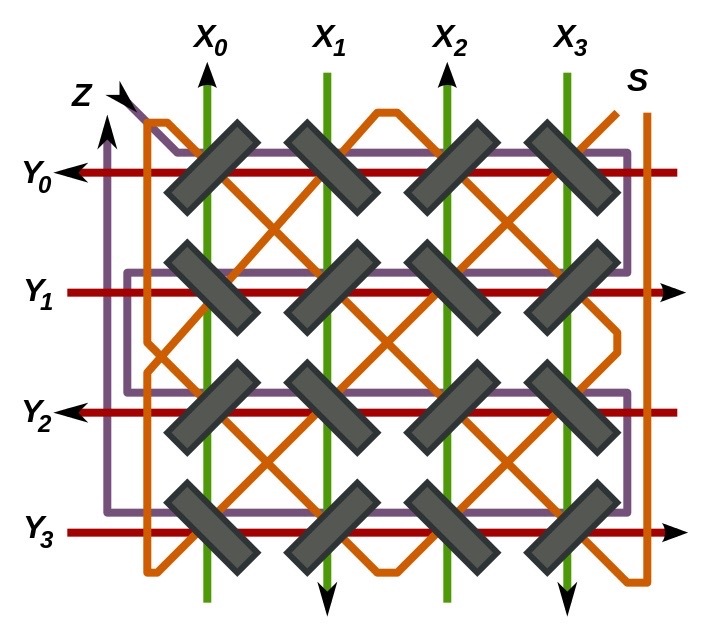 From another In Our Time episode, a passing reference was made to Raytheon and cope rope memory: subsequent research provided the story that this form of memory, which enacts binary code into a hand-woven magentic wire structure, was constructed by textile workers in Massachusetts, as they had the necessary hand skills to create accurate handwoven hard drives. 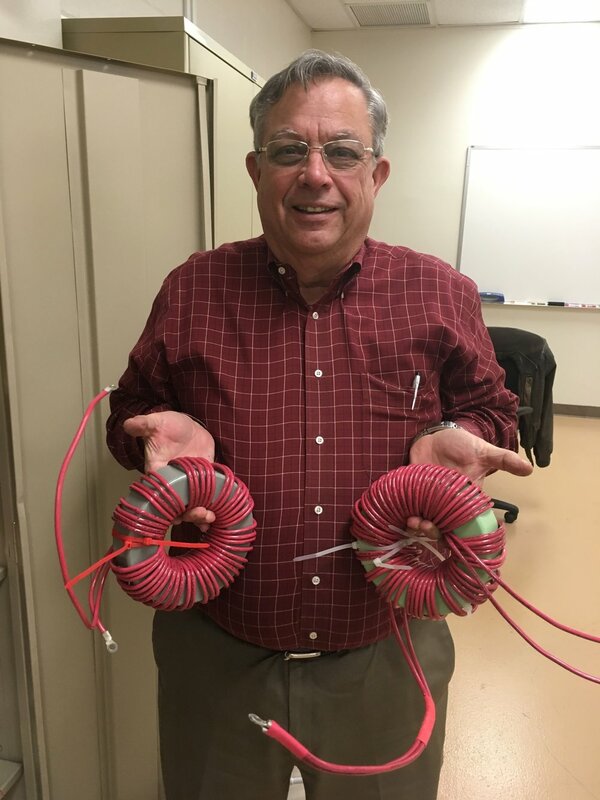 And then, at the end of the project, I learned that my father had been using core rope memory during his time working in encryption in the Navy. He wanted me to make actual core memory wiring structures: but this is a book about craft and technology in conversation, and so I created embroidery samplers instead. 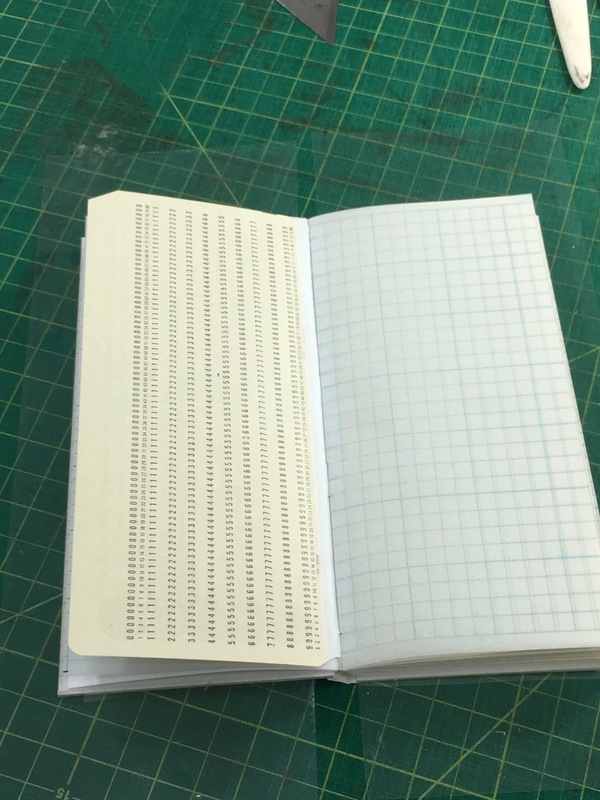 As a slide rule is a primitive calculator (external memory) and the punch cards are early forms of rendering computer programs, the deluxe edition of the book also includes still-written computer diskettes from the family archive. When I was researching different types of number representations, my brother (a programmer) reminded me that hexadecimal is how colors are represented in web page displays -- and therefore a booklet comparing base 10, binary, hexadecimal, colors, and Roman numerals was included as a small numerical dictionary.